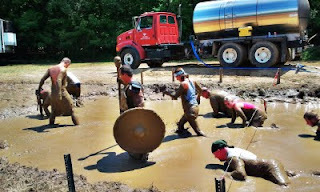 A few months back, I heard about this goofy sounding race called Warrior Dash. I didn't know much about it. Just that if you signed up, you got a viking helmet, a tee shirt, and a beer. Why not? I could use a viking helmet! Decided that I had better start running, to prepare for this thing. Discovered that I HATE running. Even more than I remembered ever hating running. My brother, suggested that I look into Vibrams which have got to be the goofiest looking shoes that I have ever seen. Decided it was worth a shot, and bought a pair. Holy hell! LOVE THEM! The most comfortable shoes I have ever run in, period. 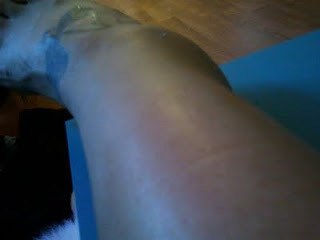 My knee pain, which has always been damn near disabling when I run, completely went away. Armed with the Couch to 5K app on my phone, I became a running fool this summer. Over 100 degrees out? I ran until I saw spots. Raining? I would wait for it to just be drizzling, and out I would go. So it shouldn't have been a surprise that, when the swelling went down a little the next day, I went for another 3 mile run. Which made it swell more. Which made me frustrated, so I would run on it AGAIN. See? Idiocy. So learned my lesson. 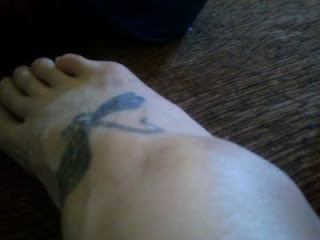 Took the week before Warrior Dash completely off. Then.. it was time! This was honestly one of the most fun days I have had! 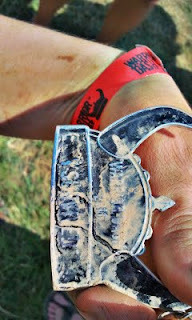 I am now a mud running junkie! Check out all the pics of the insanity! 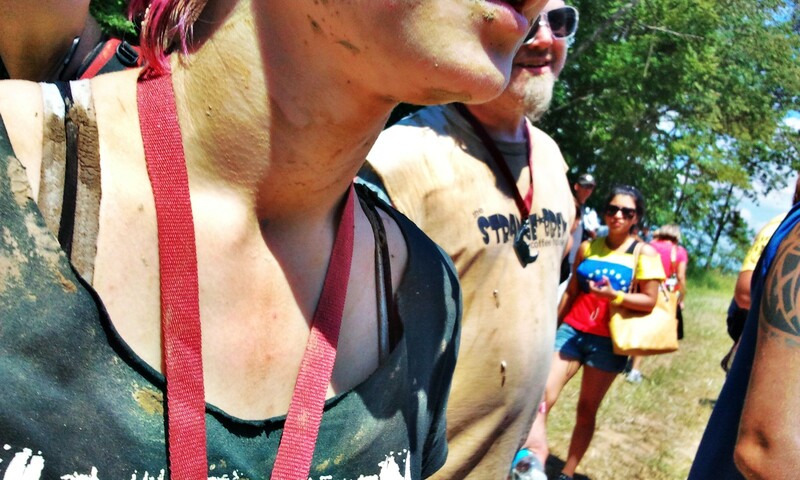 The mud at the end. 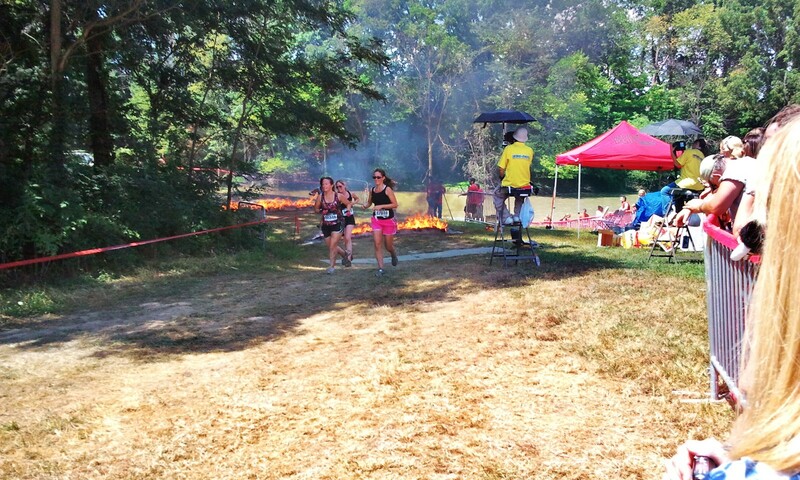 This dude carried a shield and spear through the entire course. We fell in love with him a little bit. This guy is a good example of "before" cleaning up in the lake. Dill is modeling the viking helmet you got for signing up. Also his shirt? Was totally white before the race. I don't think it'll ever be white again. See? Before picture with our friend Chris. White shirt. My face. It was muddy. Those flames were actually kind of intimidating. I thought the fire jump would be mostly for show. But no. There were two sets of flames, that were actually pretty darn high! It was a little scary actually! This was AFTER cleaning mud off myself. There was no getting clean. 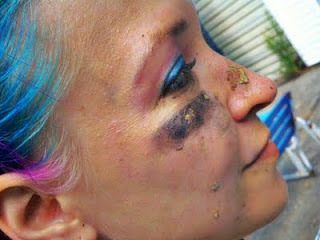 Two showers later and I still found mud up my nose. Dill found some in his ear that night when we were out drinking. We hung at the Warrior site for a while. There was a great band from Chicago, playing Irish Rock! They had crappy beer though, (I did drink one, since it was free for finishing the race) and no veggie friendly food. 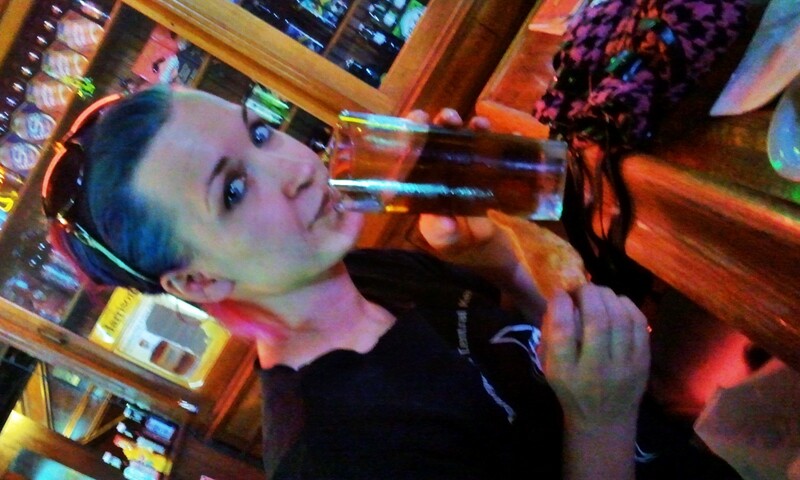 So we decided to go home, clean up, and go to Shallo's in Greenwood for food and beer. Bless the bartender at Shallo's. They have a total lack of vegetarian friendly food, so I ordered two house salads, since I was starving. 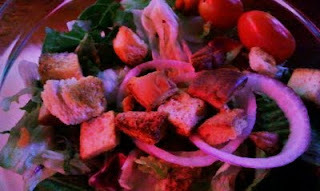 The bartender offered to make me one GIGANTIC salad instead. It was amazing. And we drank beer. Lots, and lots of beer. Okay, I had 4 beers. But for me that is lots and lots of beer. I am now a mud race addict. 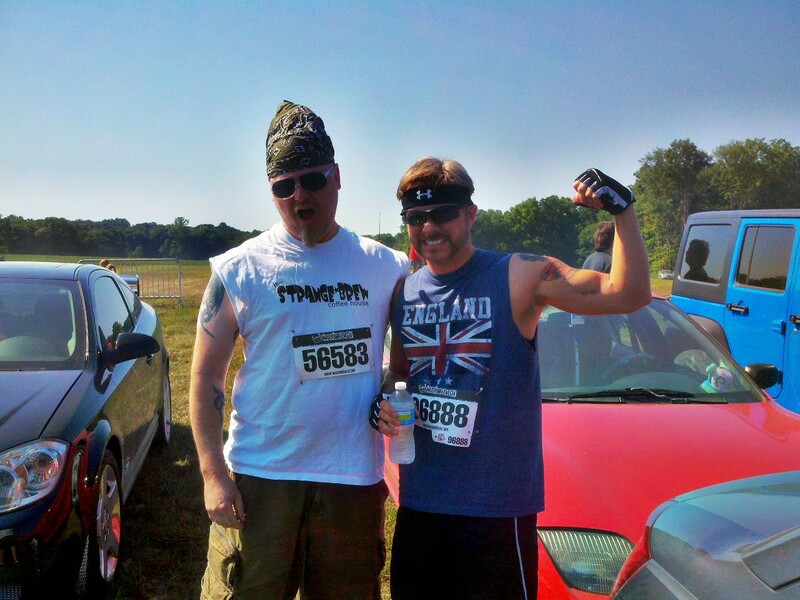 Signed up for another one called Rebel Race in September. 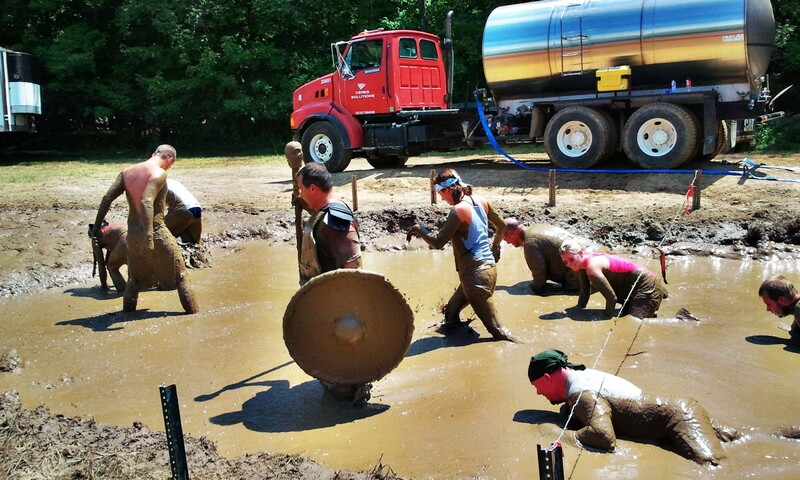 Also getting a team together for Tough Mudder next year. That one is 12 miles, and looks a little extreme. I'm all over it! 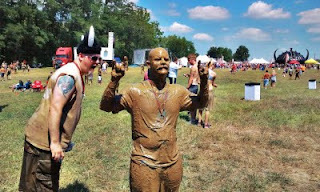 If you get a chance to do something like Warrior Dash, I highly recommend it! We had an absolute blast! Even Dill, who I somewhat dragged kicking and screaming into this adventure! 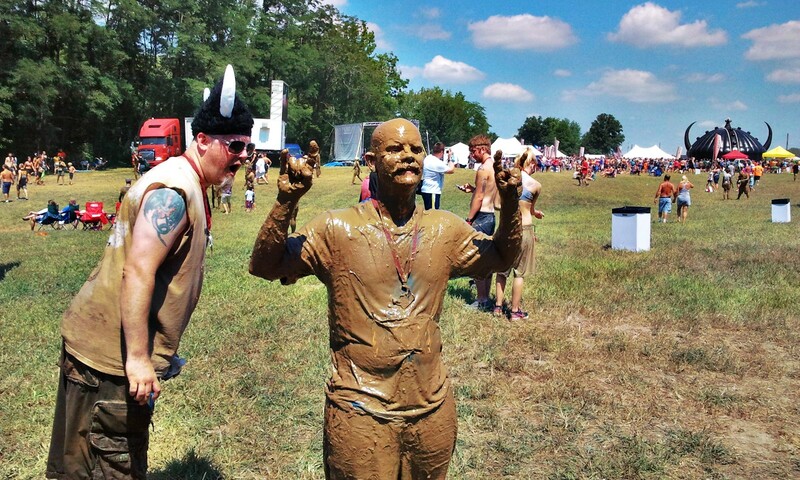 I ran the Dash in Ohio and also had a blast. I have every intention of running again next year, and my mom's joining me. 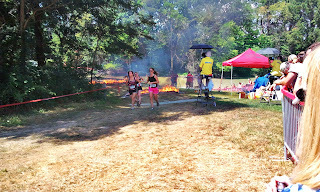 :) You are right though that fire was no joke. Looks like you had as much fun as I did.